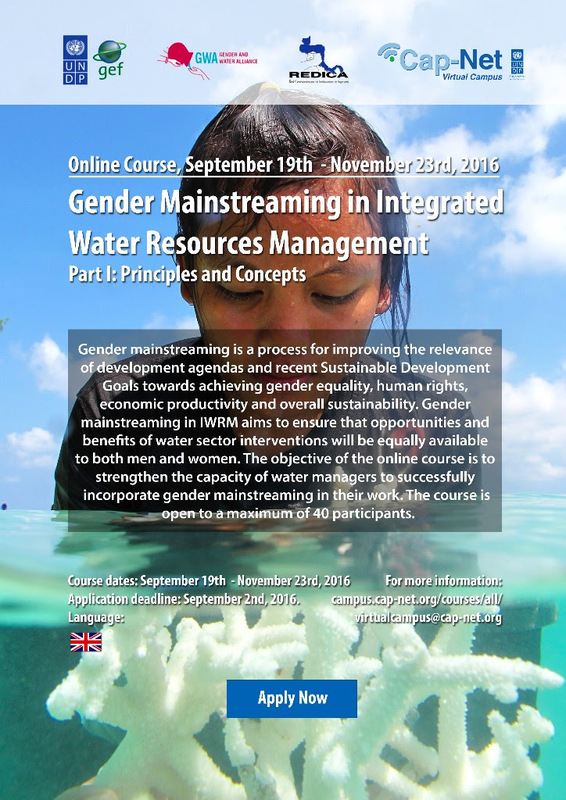 At Cap-Net UNDP we are proud to present a new online course on Gender Mainstreaming in IWRM on the Cap-Net Virtual Campus. The course aims to strengthen the capacity of water managers to successfully incorporate gender mainstreaming in their work. The course will run from 19th September to 23rd November 2016 and is open to a maximum of 40 participants from the entire water sector. To apply to the course, please visit our online application form. For more information, do not hesitate to contact the campus coordinators with any questions you may have. Looking forward to seeing you on the Virtual Campus soon!